Relatively reliable analyst Ming-Chi Kuo from KGI Securities has released his latest research note, which pegs global Apple Watch preorders at roughly 2.3 million, based on estimation of production in the March-May period. We estimate production of Apple Watch around 2.3mn units in March-May. 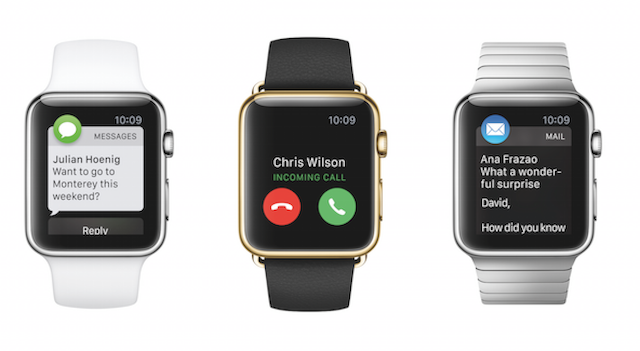 Mass production of Apple Watch began in March and will likely reach 2.3mn by end of May. Considering that most consumers who preordered will not get the device until June, we estimate global preorders of over 2.3mn units, with Apple Watch Sport, Apple Watch and Apple Watch Edition representing a respective order allocation of 85%, 15% and less than 1%. Kuo says without production bottlenecks (possibilities include haptic feedback motors or AMOLED displays), 2.5 million units could be reached in June. Earlier this week, Slice Intelligence estimated 1 million Apple Watch preorders in the U.S., led by the Sport model. Initial Apple Watch pre-orders sold out quickly and many customers have ship dates of late May and into June. Kuo’s research note also included information on the next-gen A9 chip orders for the next iPhone, which is now said to include Taiwan Semiconductor Manufacturing Company (TSMC) to build 30% of orders. The analyst believes Apple’s reasoning for moving forward with TSMC is due to the fact Samsung partner GlobalFoundries has been unable to supply a stable yield rate, while the Taiwanese company has been able to exceed Apple’s expectations in the area. Also, with word the Galaxy S6 and S6 Edge may be more popular than expected, it could result in a shortfall of next-gen 14nm process chips from Samsung. Bloomberg reported at the beginning of the month Samsung had landed the bulk of A9 chip orders away from TSMC, in what continues to be a flip-flop of who has the final orders from Apple.